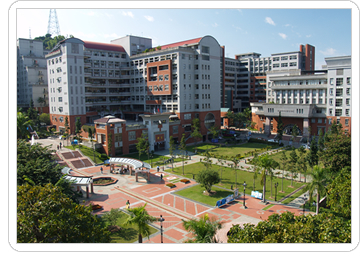 Chaoyang University of Technology is located in Wu-feng District, a suburban district in southern Taichung. It is bordered by Da-li District, Tai-ping District and Wu-r District to the north, Cao-tung Township and Guo-shing Township of Nao-tou Country and Fen-yuan Township of Chung-hua County to the south. Wu-feng District has a developed public transportation of railway network. Language Center used to be called Foreign Language Center which was established in 2006 to extend the learning of students so that they can put English skills into use in the everyday life and future careers. It was renamed as Language Center in 2012 in order to promote Chinese learning for both international students of CYUT and those who are interested in Chinese language or culture.